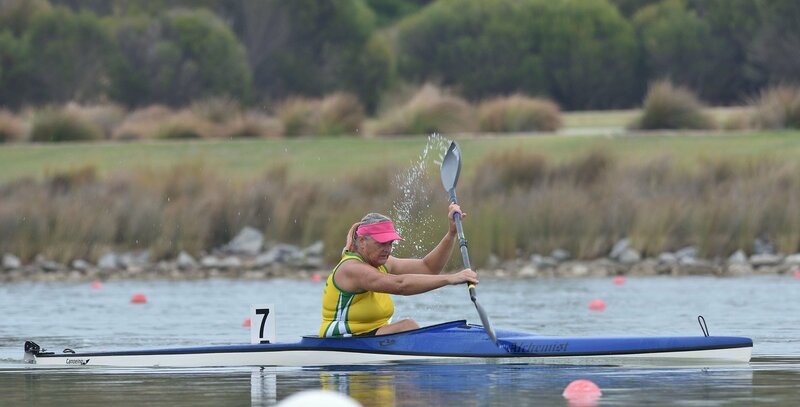 This year’s Canoe Sprint National Championships saw a record-number of masters compete at the national level. 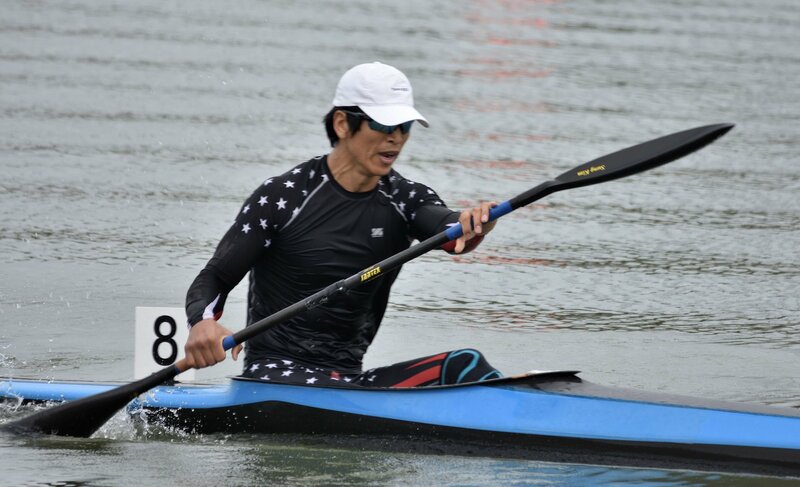 Happily debunking the myth that sprint paddling is only for the most elite of paddlers, a strong field of masters enjoyed participating and producing their all-time best results at this year’s Sprint National Championships. The championships were held in fantastic conditions at Champion Lakes. 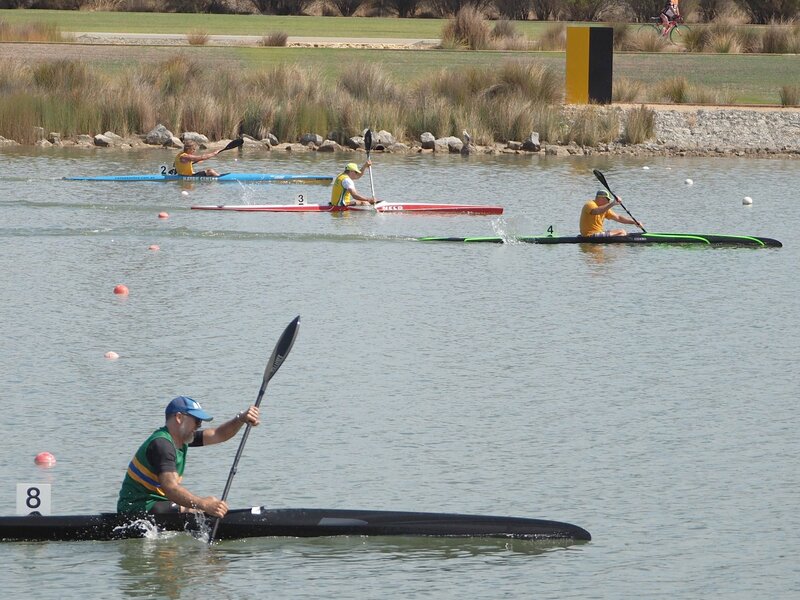 Local masters, open and junior paddlers enjoyed being part of over 300 races spanning 5 days of competition showcasing Australia’s finest sprint paddlers. The women’s masters division saw strong and competitive racing between Jane Liddle (AKC), Charmaine Starling (AKC), Wendy Burdett (AKC) and Erica McKnight (AKC). All four ladies competed in the K1 200M, 500M and 1000M races, with McKnight pairing up with Liddle for the K2 200m and K2 500m, and Starling with McKnight in the K2 1000m. While there was only one entry in the K2W, the girls had some fantastic racing and were extremely close to beating some of the male masters times! Wendy Burdett in K1 (left), Erica McKnight & Jane Liddle in K2 (centre), Charmaine Starling & Erica McKnight in K1 (right). Photos: Britt-Marie Good Gerne, Lawrence Greed & Beck Florisson. 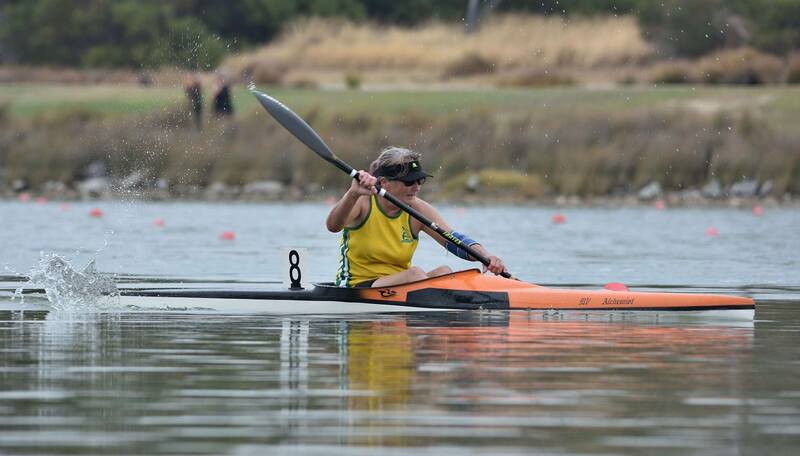 Erica McKnight seemed to sweep up the competition after taking out first place in the K1 500m and 1000m races. Charmaine Starling was hot on her heels in these events, and picked up silver in the 500m by just 0.11s and silver in the 1000m by 1.69s. However in the 200m, Starling showed she doesn’t just settle for second place by pulling ahead of McKnight by almost a second to take home a gold medal. 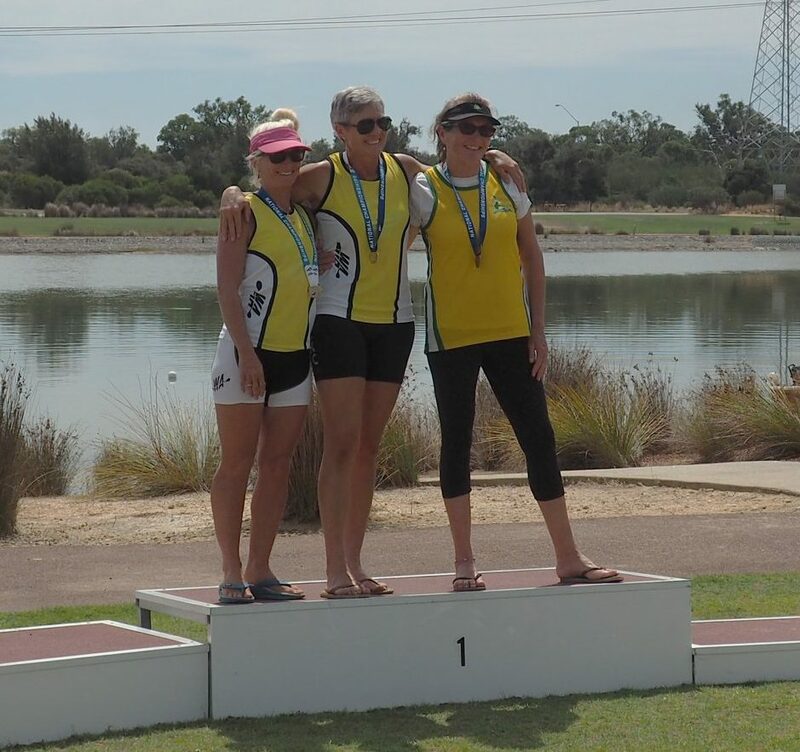 A bronze was won by Jane Liddle in the 200m and 500m, however Wendy Burdett‘s endurance over 1000m saw her catch Liddle on the line and receive the bronze medal. All four of these athletes produced personal best results over the weekend and should be proud of their achievements. While the rivalry was fierce on the water, the group are close-knit, training together and providing encouragement and support for one another. The friendly rivalry and camaraderie between these ladies, all of whom are seasoned marathon paddlers, will continue into the future as the group plan to continue paddling in sprint events locally and interstate. They strongly encourage other masters paddlers to join them. The male masters also had a great representation from WA, with Trevor Longwood (AKC), Brett McDonald (AKC), Gary Clarke (AKC), Peter Liddle (AKC), Francis Nolan (AKC), Lawrence Greed (AKC), Ron Clarke (AKC), Terry Bolland (AKC), Greg Murphy (AKC), Phill Langley (BPC), Allan Ribbons (BPC), Sung Tae Kim (CRCC), Damian Cooper (CRCC), David Griffiths (CRCC), Jerry Alderson (CRCC), Dan Humble (IOP), David Berglund (MOC), Chris Boocock (MOC), and Johan Dreyer (Direct Member) competing with other masters from around Australia. The 35+ MK1 saw tight racing between Langley, Kim and Longwood, with Humble taking out the 1000m by over 32 seconds. In the 500m, Kim won the gold by just 0.22s ahead of Longwood, and Langley finished 3rd with a 2 second gap. Trevor and Phill were the only two to race the 5000m long distance sprint, and after spending the whole race on each others’ wash, Longwood pulled ahead by 2.9s in a sprint finish for gold. 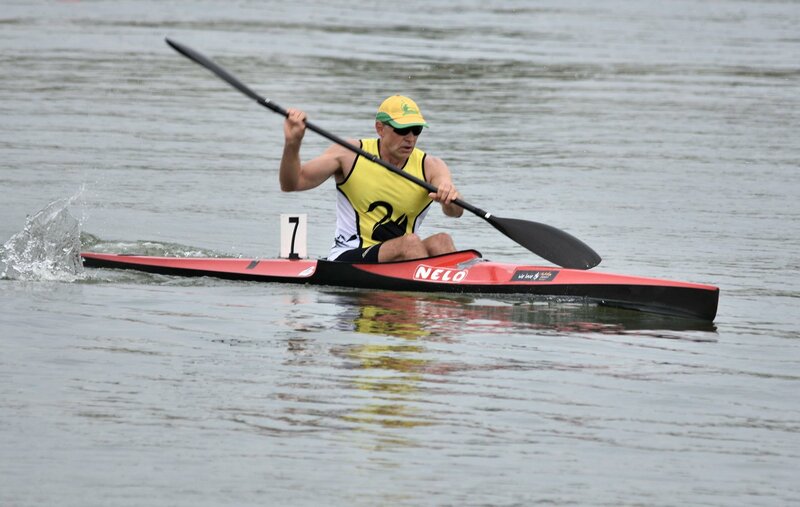 Brett McDonald managed to pick up a gold medal after doing a sub-4 minute 45+ K1 1000m time ahead of NSW’s Mario Vesely, although had to settle for silver in the 500m after Vesely pulled ahead. In the 200m, Vesely also won but with Gary Clarke in 2nd place and McDonald in 3rd. The long distance event was hotly contested with 8 masters competing. McDonald was able to show his marathon strength in this event, finishing in 1st place by more than one minute. Gary Clarke also finished 3rd in the Long Distance (5000m). The 55+ masters was just as hotly contested as the 45+, with 10 entries all up from WA and NSW. Mandurah Ocean Club’s David Berglund and Chris Boocock fought tooth-and-nail for the gold medals in K1, with Boocock taking out the 200m and 500m title and Berglund winning the 1000m. Francis Nolan came 2nd in both the 1000m and 500m distances, and 3rd in the 200m. In the team boats, Berglund and Boocock proved too fast for their competition by taking out gold across all three K2 distances. Nolan and Liddle finished 3rd in the K2 200m, with a mere 0.02s separating them from the NSW crew who picked up silver. 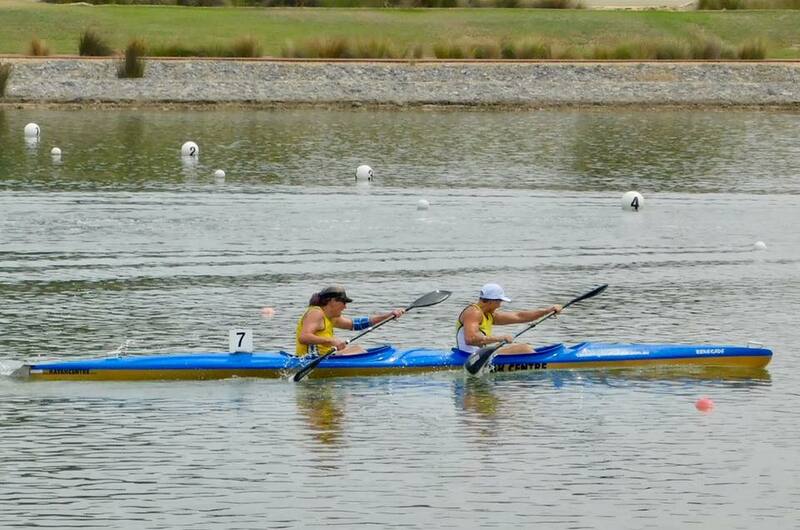 The pair did grab themselves a silver medal in the K2 500m after finishing a whole 8s ahead of NSW. In a clear statement of how his son is so fast, Ron Clarke cleaned up the 65+ masters class after three 1st place finishes in the 200m, 500m, and 1000m K1 races. Living legend Terry Bolland added three silver medals to his name in the three events, while ex-TID coach Jerry Alderson won the bronze in each race. Alderson finished less than 1s behind Bolland in all three races, and so racing could not have been tighter for these master paddlers. 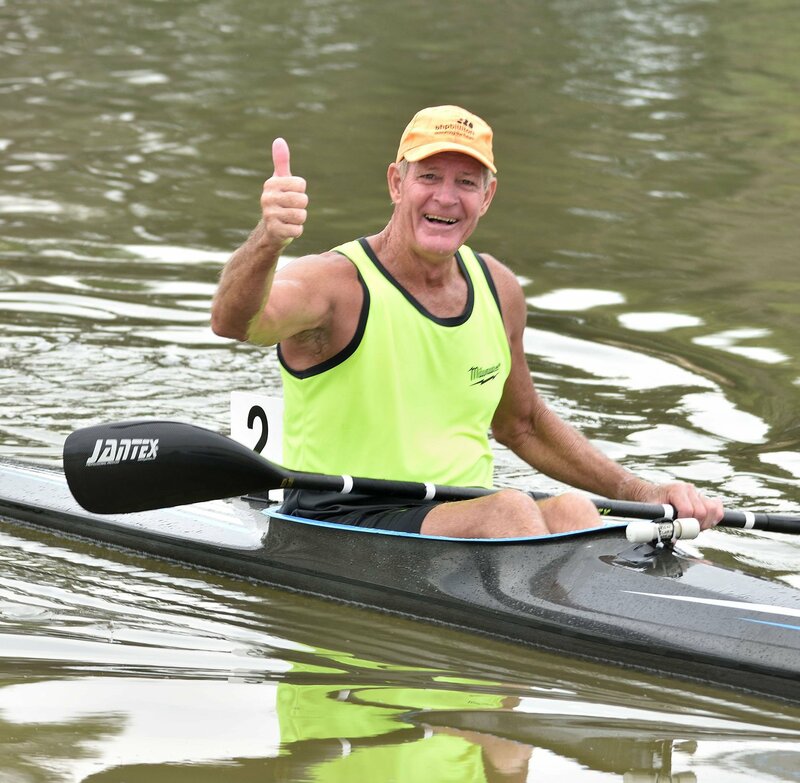 A special mention goes to Johan Dreyer who was the only Paddle WA Direct Member to compete, and also the most mature master competing at the championships! 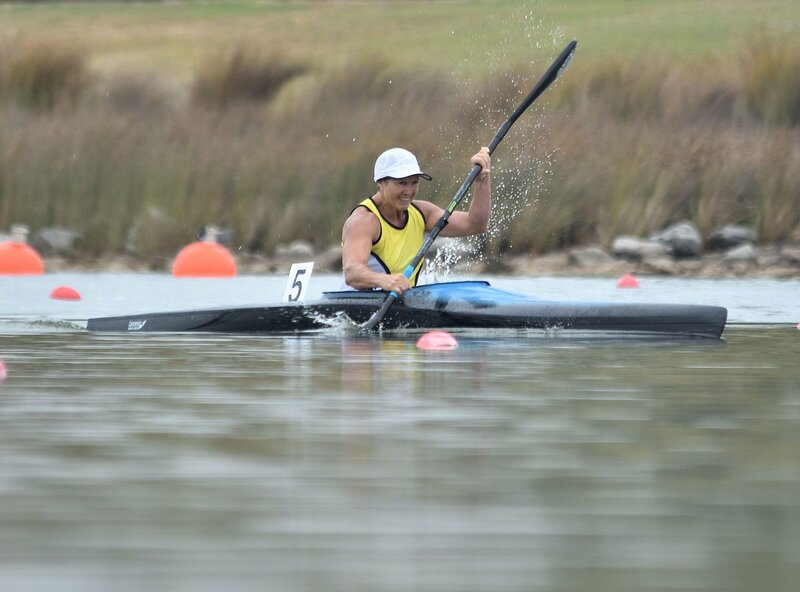 Dreyer has been a keen competitor in sprint and marathon recently, and is always improving his personal best times at local sprint regattas. The masters K4 events were not separated by age, with three crews competing in the K4 200m and K4 500m events. 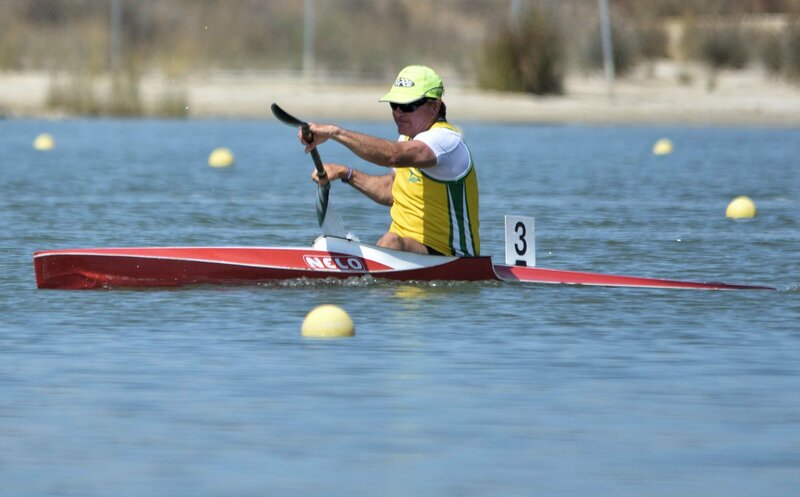 Phill Langley teamed up with NSW paddlers Hutchinson, McIntyre and Vesely to win gold in the K4 500m and 200m races. The first all-WA crew of Boocock, Berglund, Longwood and Clarke (Gary) won silver in the two events, and the team of Greed, Ribbons, Nolan and Liddle taking home the bronze medals. Congratulations to all masters who had a go at the sprint national championships. 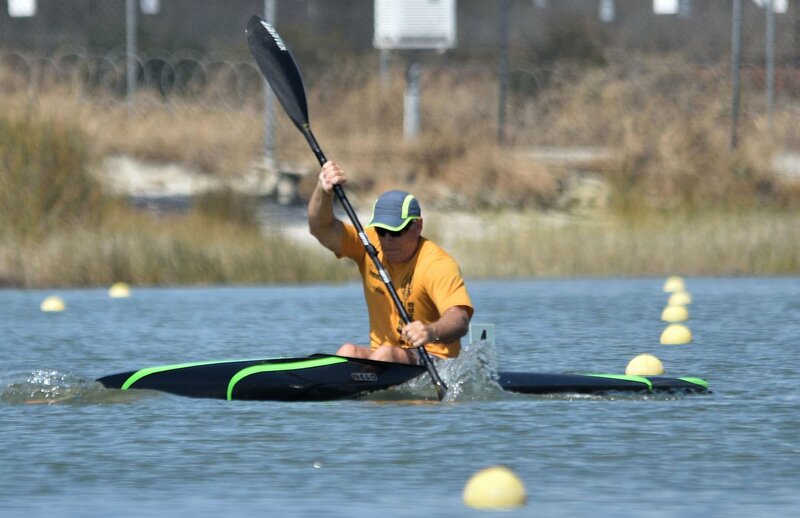 It’s great to see those who are seasoned marathon racers break the idea that sprint kayaking is only for the elite. It is a fantastic discipline where you can easily track your progress across a season, and can create achievable goals to get some new personal best times. As the 2018/2019 sprint season has now finished, stay tuned for information for the first race of the 2019/2020 season kicking off this September!